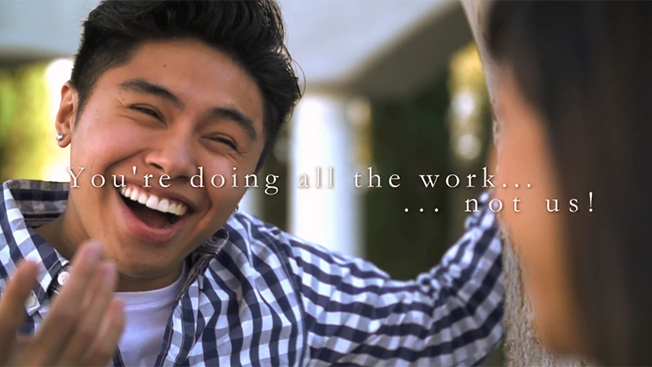 YouTube star Ryan Higa takes some well-aimed shots at the college experience with this Honest College Ad video. He's a little confused about which college experience he's targeting, though. The name of the fake college (EveRy) and the video's tone and aesthetics are a send-up of diploma mills like ITT Tech and DeVry, where annual costs are closer to $25,000 than $56,000. Higa's description more closely matches the pitfalls of a state university. And while it takes him a little too much time to parody an ad genre that's typically shorter than a minute, he covers an admirable amount of ground and calls out many of the most frustrating aspects of the debt-accumulating process required to graduate. And it's clearly resonating with young viewers. "It would be funny," notes one YouTube viewer, "if it weren't so true and depressing.﻿"